Not all of us suit a TWA. There is a perfect head shape for it and failing that, there is a confidence that is required to carry it off. You are not crazy for thinking that you may not look good with a TWA. Cutting your hair is just the first step on a journey, you will survive it. It really is not all about length. Do not try to show off the maximum length of your hair all the time. Focus on styling your hair in a way that highlights your texture (i.e stop pulling your hair all the time). It takes a long time to get 'popular'. I remember excitedly telling my husband that I had 11 followers and he said I needed 1 more to match the disciples. But it was 11 of us for a good 4-5 months. Two years later, 30,000 individuals regularly read this blog and 18,000 regularly hop over to the magazines. If you can write when no one is listening and continue to do so for months, you can be a blogger. If your voice is unique enough, the audience will come - it just takes a minute. @JC- So true! When i started blogging 7 mnths ago, i had 8 followers for 4 months:-) and nobody was leaving comments, lol! Its however growing and i have no intention to stop blogging even if only 1 person reads! Thanx for this post. I loved your third tip. Thank you! I wish someone had told me about frizz. My dislike of frizz is only surpassed by my hatred of gels. As far as blogging goes, you def have to do it for yourself and just try and stay true to who you are and the message you're trying to send, and you're right, eventually followers will come! Wow, 30,000 readers. I had no idea. Congratulations. Maybe I will continue to write on my blog although I find it difficult to be consistent and original all the time. By the way, it's been over a year and I just reached 5,000 pageviews, is that normal? Haha! So true. Especially about the confidence to pull a TWA off if you do not have a 'TWA head'. As for blogging, You truly have to do it for you. 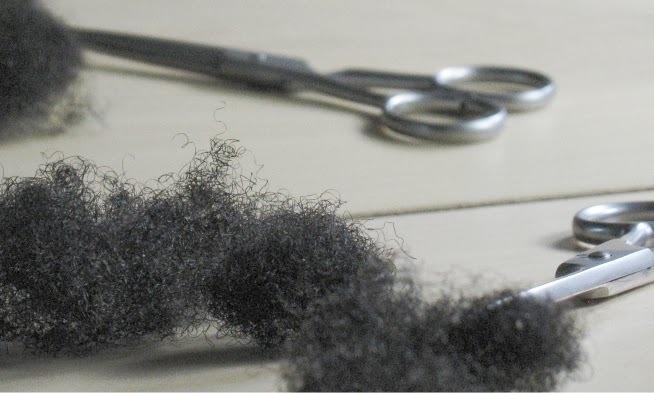 June - If you have a loose curl - type 3 ish and you want to wear your hair in a wash and go, then there are many tips and tricks to deal with frizz. Top of the list is conditioner - you should see Teri at tightly curly. If you have a tighter curl, in my experience the curls do not clump unless you are locking. Neems - I went back in time and my page views for the first year were 180,000 (cannot find the unique readers though). I think that your page views are only part of the story, I think your blog begins to become relevant to the audience when you look at the number who are returning back to the blog.60% of readers to this blog have been here before. It means that while I have new traffic, people who have looked at the blog are coming back. Can I also say that for the first 3 months I literally had 20-30 page views on average. Majority of my page views came in on the back of one post only - is deep conditioning a myth. This same post is still attracting the most views (over 2000 currently) every single month without fail. Thanks JC. I have type 4 hair that curls. I decided to confront the frizz and just use my fingers to break up the curls, but they curled back and some frizz remained. I have followed all the tips and I am beginning to realize they are here to stay and I have to get used to them. A friend and I BCed at the same time so we have been supporting each other as we go through this new experience. She has tighter curls and is not experiencing any frizz. She is dealing with a lot of single strand knots because she has fine strands. Your site has been very helpful to us. Thank you so much for this. Your welcome June :) - Have you also seen cynthiarf and curlychronicles on youtube. They both have clumping type curls - you may find them useful. Lady Jaye - The more you write, the more you acquire the unique voice. You learn the writing style that you like and you learn what topics interest your audience. If you put your entire focus on popularity and reader numbers, you lose sight of the thing that draws your audience in and that would be your writing. I love this series. It's good to see you all support each other. I must say, this is one of my favorite blogs.